This reward card is especially for children who are very shy, with autism or selective mutism, or any other child who has trouble talking, I made a card on request of a parent. You can describe on this chart in what kind of the situation the child was and what he/she dared to say. This way you will also get insight into the situations that are already going well. Concerning the last column for a reward: this can also be just a curly or sticker! 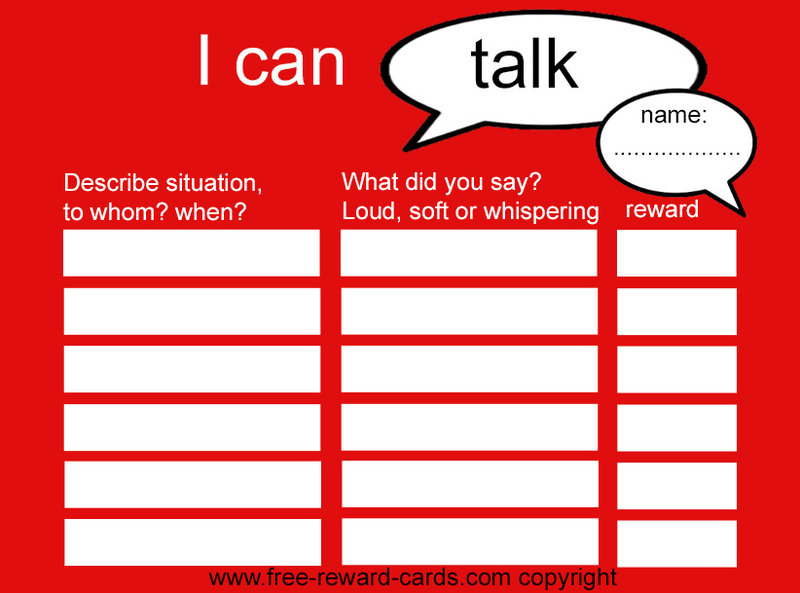 I can imagine that you can also use this reward card in a classroom for children who have trouble speaking in a group or asking something to the teacher or teacher.